Material Ecology is an emerging field in design computation denoting informed relations between material systems and their environment in form-generation and digital fabrication processes. Enhancing the integration between geometry, structure and material, such processes combine material-based design computation and performance-based digital fabrication. 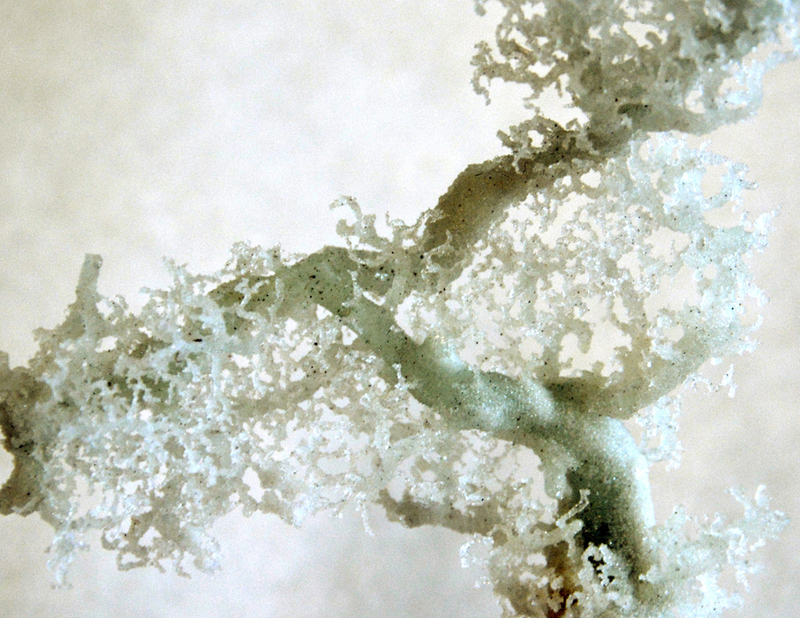 Defined as the study and design of products and processes integrating environmentally informed computational form-generation processes and digital fabrication, this interdisciplinary field operates at the intersection of biology, materials science, engineering, and computer science with emphasis on environmentally informed digital design and fabrication. With the advent of digital fabrication techniques and technologies in design, digital entities such as material voxels can be used to represent material constituents in the context of additive manufacturing processes. The ability to design, analyze and fabricate using a single material unit implies unity between physical and digital matter, enabling seamless mappings between environmental constraints and material organization. Such unity may promote a truly ecological design paradigm, facilitating form generation processes guided and informed by environmental constraints. Motivated by demonstrating the broad interdisciplinary range of the emerging field of Material Ecology as integrated models of design computation, the issue will propose a digital material approach in design and fabrication. We seek studies on, and contributions to, sustainable material-based approaches in digital design and fabrication. Relevant fields include digital design fabrication and related design fields in architectural and engineering design, Biomimetics, mechanical design, product design and others. Researchers and experts from academia, practice and industry are invited to share their original work by submitting research and application papers for this issue. The objective is to define and discusses the contribution of this interdisciplinary and emerging design paradigm; to distribute recent insights and findings; to make the latest results of development known for the CAD/E community; and to stimulate further research in the multi-disciplinary research domain. Image: Lichtenberg 3D Printing by Steven Keating. Photo: Carlos David Gonzales Uribe.